Once upon a time, I looked at hockey in Pittsburgh with wide-eyed innocence. Hockey is my sport and the Penguins are my team. I saw the Penguins through rose-colored glasses. I looked at the team as a reflection of my sports hero, Mario Lemieux. His story captivated me from the moment I heard it. The tall, handsome Canadian who, for me, personified hockey has always loomed large and iconic in my mind. I was young in Mario’s hay-day and admit to having to research much of his magic. The story of his Penguins has been a modern day fairy tale, if you will. I feel as though the end of the Penguin’s 2013 – 2014 season destroyed that fairy tale. The Ray Shero from my fairy tale was admired for his talent of building a team from obscure pieces that fit in unexpected ways. Prime examples of that talent are the acquired Pascal Dupuis and Matt Niskanen. They started as guys the Pens barely knew what to do with but soon became key players. So many great names have worn a Penguins jersey. Remember when “In Shero We Trust” was the battle cry in the spring of 2013? In the spring of 2014, the Pens were shopping for a new GM. We sit now on the cusp of a new era in Penguin hockey. At this writing, the clock is ticking on the Pens’ announcement of a new GM. The sound of fan speculation has been deafening. In true Penguin’s style they are playing their cards close to the chest. The GM controls player transactions and bears the primary responsibility on behalf of the hockey club during contract discussions with players. Deadlines of that nature are approaching and a leader needs to be comfortably in place. The voice of the Penguins has evolved into a respected one across the league. The choice of a new GM will hopefully fortify that. The general manager is also normally the person who hires and fires the coaching staff, including the head coach. I’m a loyal person and it feels disloyal to predict Coach Bylsma’s demise but his tenure seems terminal. Who will the new GM place at the helm of the ship? Will it be a strong disciplinarian who counters poorly played games with bag skates or will he be an even tempered guy who keeps his emotions in check? Will the new coach be the old coach at least for the time being? 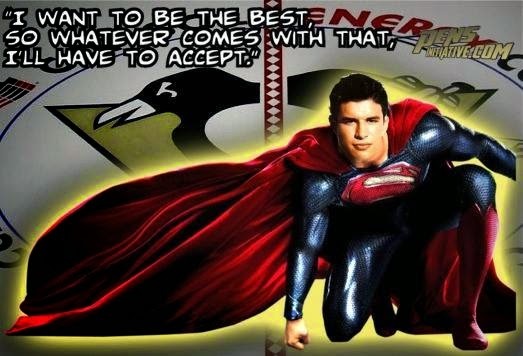 What about Sidney Crosby? How does a player of his caliber win the scoring title but be essentially invisible in the playoffs? That failure in the playoffs has pushed even the most loyal of fans to spew venom at the captain about lack of leadership, whining and failure to rise to the occasion. People who were fond of calling him “arguably the best player on the planet” are now finding that argument filled with holes. One thing is for sure, the Pens that emerge from training camp will have not only a new look but a new feel and a new voice as well. They say that change is good but massive change often brings chaos. The Pen’s superstars will be returning but what will the team around them look like? What sacrifices will the team make to succeed in the playoffs next year? Time will tell. Now, we wait. We wait thru the Stanley Cup Finals, the awards and the draft. We wait thru free agency and all the surprises July will hold. We wait for training camp to see if the familiar faces are ready and if the new faces look hungry. 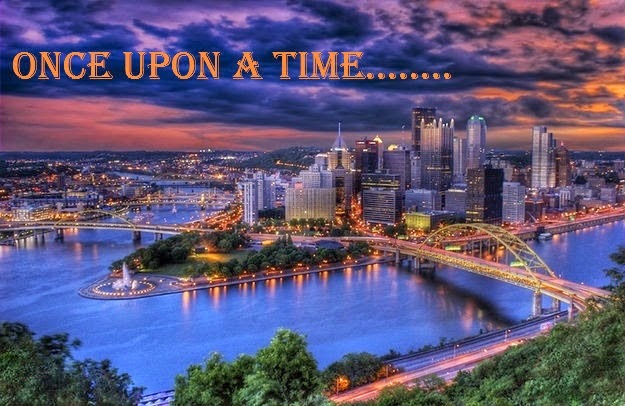 We wait....but as sure as fairy tales start with, “Once upon a time…” we will don our black and Vegas gold in the fall as the cry rings out from the CEC…”Let’s Go Pens”.